For most B.A.S.S. guys this begins their offseason, but for me I’m just in the middle of mine. I’m all done with Elite Series and finished 32nd overall qualifying me for the 2012 Bassmaster Classic. Anytime you make the Classic you’ve had a pretty good season and I am just excited to get a shot at another title. 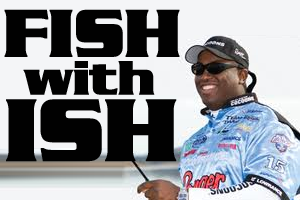 I’m never one to be idle, so I try to fish every major tournament I can. Right now I have at least three more and I hope a fourth. 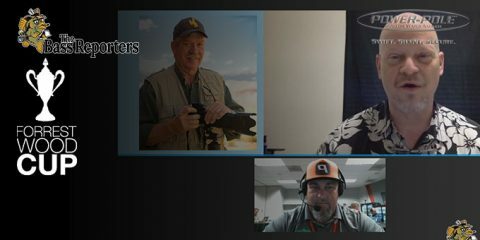 The three I know for sure are the upcoming PAA event on Lake Neely Henry in Alabama and the last two FLW Open events on Lake Champlain and Lake Guntersville, respectively. The fourth I’m hoping to qualify for is the Toyota Texas Bass Classic on Lake Conroe. To qualify for that I need to finish in the top 15 in the PAA points, with one event left I’m in 12th place and I need a good finish to secure my spot. Looking ahead to the last two FLW Opens I am already excited for Lake Champlain. Everyone knows I like to target largemouth because I believe they are much easier to pattern than spots or smallmouth and because usually they will weigh more, but Champlain is a whole different ballgame and the rules are much different. Champlain is one place where you can weigh in 20 pounds of either largemouth or smallmouth on any given day; I can’t think of another place where that rings true. That time of year the big smallmouth also start moving up onto the flats with the largemouth so each cast could produce a five pounder of either species. I’m already excited. I plan to target fish using the larger Lucky Craft slender pointer in the 112 and 127 size in any color that resembles the yellow perch. Similar to the trout in California and the gizzard shad in the south, the yellow perch is the preferred meal of Champlain bass trying to get big in a hurry. The only thing I’m not excited for is the three days of driving each way from my home near Lake Fork. Speaking of Lake Fork, I’ve been fishing it quite a bit right now. Usually we don’t have this time of year off from the Elites, but the way the events were scheduled allows me some valuable time on the water working on one of my weaknesses: Deep water. 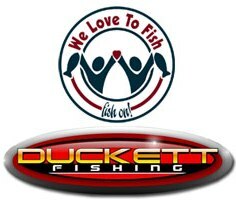 The last couple of trips out to Lake Fork have been spectacular due in large part to the Lucky Craft D20 and LC 3.5XD. The fish are really predictable in the 20 foot range. They are stacked up on deep humps and can be caught one after another with either the D20 or 3.5XD. It’s exciting to get more comfortable with the deeper water. 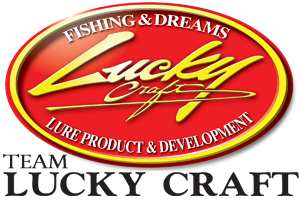 Just wait, you will love the new 3.5XD its awesome and the colors are just what you would expect from Lucky Craft, brilliant. I hope that you follow my upcoming tournaments and I’ll report back soon.